and are rectangular in design for increased capacity. on drop in sink ordered). Includes 4" O.C. 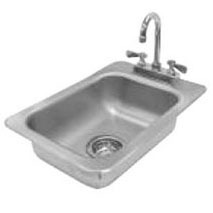 K-52 faucet & basket drain.